Hopefully you will have received your book/ books or will be getting them today. Let me know if you didn’t get a book, please do check spam, some of the filters do a good job. Our first book review from the challenge will be posted tomorrow. Any author approaching me for a review would be given the choice of offering the book to any book review team members. I really do believe that future book sales will rely more on book reviews. There would be no guarantee that reviewers will choose a book, but I would like to trial the idea and see how it pans out. When I get book requests I will send around the book details to reviewers who can then make a request to read and review the book. I hope this might lead to offering reviews for a wider range of book genres, anyone interested in joining should express any genre preferences. Reviewers would be under no to obligation to read a set number of books, just to be in a position to write a review for every book unless they find that the book really isn’t for them. I already have 4 interested reviewers and 2 authors. If this would interest you send me your details on the form below and tell me any book genre preference you have. Authors should contact me via the “Your Book Reviewed” tab at the top of the blog. Sometimes you can go home again. Dave Burke cannot forget his past. Nor can he forgive himself for the tragedy that cost him everything he ever loved, a tragedy he may have prevented. Now, two years later, strange things are happening, things that suggest there may be hope for him after all. The power of love. Is it strong enough to conquer time itself? We have to start the team somewhere, so let me know if you want to be a part of this in the near future. 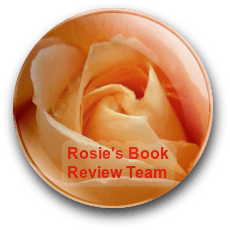 A great idea from Rosie Amber… a book review team with a call for authors and readers. Great idea, Rosie! With you overseeing this, I know it will be a quality reviewing system! Rosie Amber’s Book Review Challenge continues along with an opportunity to be on a volunteer book review team! I am so excited! Thanks again, Rosie! I would certainly be interested once the finer points have been ironed out. I’ll keep in touch. This is a great idea! I filled out the form. I’m not into genre fiction, but humorous, sort of literary, fiction, which I love and have read and studied for a long time (and also write myself). Also great historical fiction. I could review maybe one or two books a month because of my other commitments, though I’d be happy to do more as time allows. Count me in!